Before I came to Iran, I was thinking the main reason why to visit the Islamic Republic, because it´s a bit adventurous and there´s a lot to see from the years when Persia was a great world power. The highlights, together with the atmospheric teahouses, bustling bazaars, deserts punctuated by historic oases and rugged mountain ranges, gives Iran more than its fair share of fantastic places to see. One of my favorite places was The Golestan Palace. 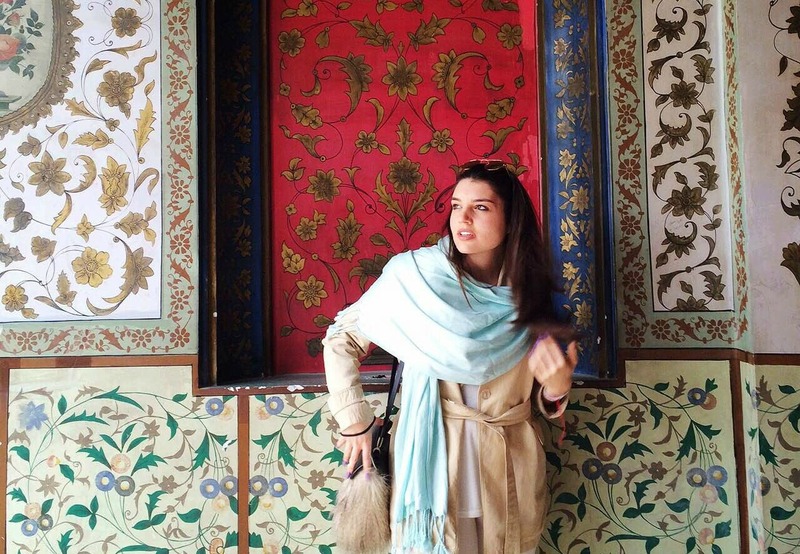 The oldest of the historic monuments in Tehran and for me a perfect place to match my outfits with the colorful walls.